Gerhard Bohner is considered one of the pioneers of contemporary dance. 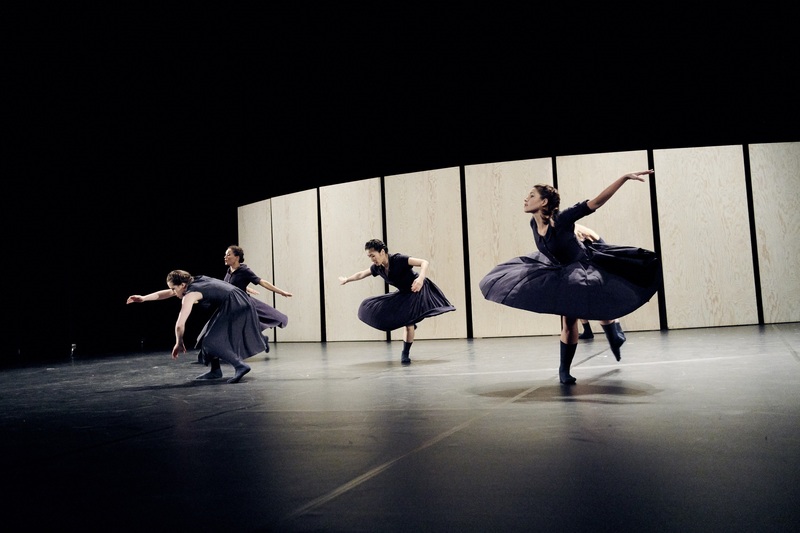 Like Pina Bausch and Johann Kresnik, in the 1970s he started researching new forms of choreographic expression beyond the ballet aesthetic, and continued this search until his early death in 1992. The focus of the past forward evening was on Gerhard Bohner’s late choreographic work Angst und Geometrie (Fear and Geometry), which was commissioned by Berlin’s Hebbel Theater and premiered in 1990. 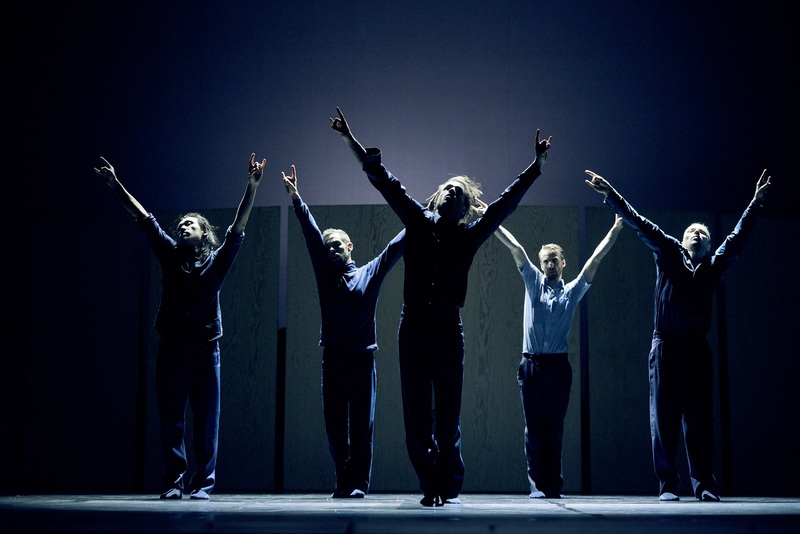 Twenty-eight years later, Theater Bielefeld and its ensemble TANZ Bielefeld (artistic direction: Simone Sandroni) has restaged the piece under the direction of the former Bohner dancer Petr Tyc. The reconstruction was supplemented by works by three contemporary choreographers – Simone Sandroni, Overhead Project and Lali Ayguadé – who were looking at Bohner’s choreography and its intrinsic themes and forms in wholly different ways. The interplay between the different choreographic styles made a piece of dance history visible and at the same time linked it to current trends in the international dance scene. 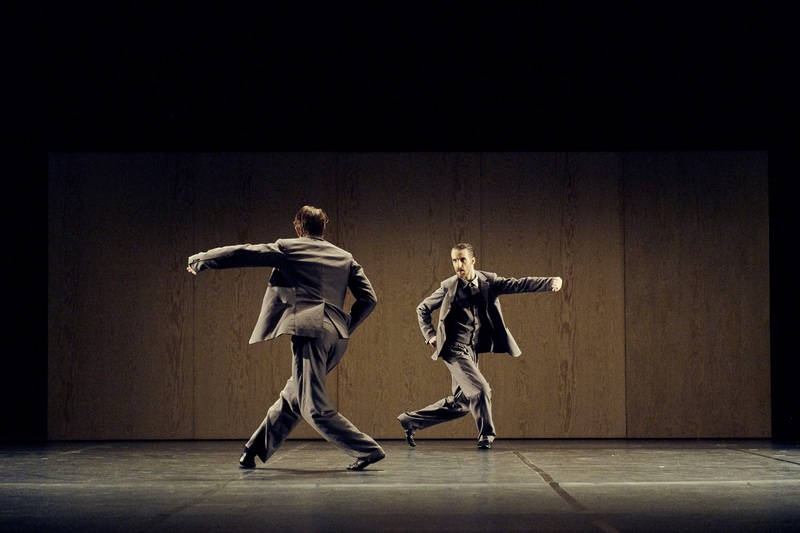 The Italian choreographer Simone Sandroni became artistic director of Tanztheater Bielefeld at the start of the 2015/16 season. Sandroni is co-founder of the dance company Ultima Vez and he worked with the ensemble in Brussels from 1987 to 1992. It was also in Brussels that he premiered his first self-choreographed works for his own group Ernesto from 1993 onwards. In 1996, he founded the international dance company Déjà Donné with Lenka Flory. The company still exists today and has been based in Perugia, Italy since 2006. Sandroni has created more than 10 dance evenings for Déjà Donné and toured them in 26 countries in Europe, North and South America, and Asia. Sandroni also works as a guest choreographer around the world and he has created new pieces for the National Theatre in Prague, the Festival de Beweeging in Antwerp, the Four Chambers Dance Project in Toronto, Lucerne Theatre, the Conservatory of Music in Bratislava and the Lublin Dance Company, among others, and he has been working regularly with the Bavarian State Ballet in Munich since 2007. In 2009, he developed the choreography The Tempting Innocence for Tanztheater Bielefeld and was represented at the dance gala Ein Fest mit Freunden on 7th and 8th March. In addition to his choreographic work, Sandroni also gives workshops and master classes in Europe and the USA. Petr Tyc trained in classical dance at the Prague Dance Conservatory. He studied at the Merce Cunningham studio in New York and at the Faculty of Music at the Academy of Arts in Prague where he graduated in choreography in 1983. From 1983-92, he danced with the Prague Chamber Ballet of Pavel Šmok and from 1992-94 with Rambert Dance Company in London. Petr Tyc performed and created roles in works by Pavel Šmok, Jiří Kylián, Gerhard Bohner, Simone Sandroni, Christopher Bruce, Richard Alston, Siobhan Davies, and others. Since 1994, he has worked as an independent dancer and created more than 20 choreographies. He directed two opera and four spoken or physical theatre productions. His works were, among others, commissioned by the State Opera in Prague, the Prague Spring International Music Festival and the Warsaw Autumn International Festival of Contemporary Music. Also, Petr Tyc taught dance at the Faculty of Music and Dance as well as at the Faculty of Theater at the Academy of Performing Arts in Prague. Tim Behren and Florian Patschovsky have been active as the acrobatic and choreographic duo Overhead Project since 2007. 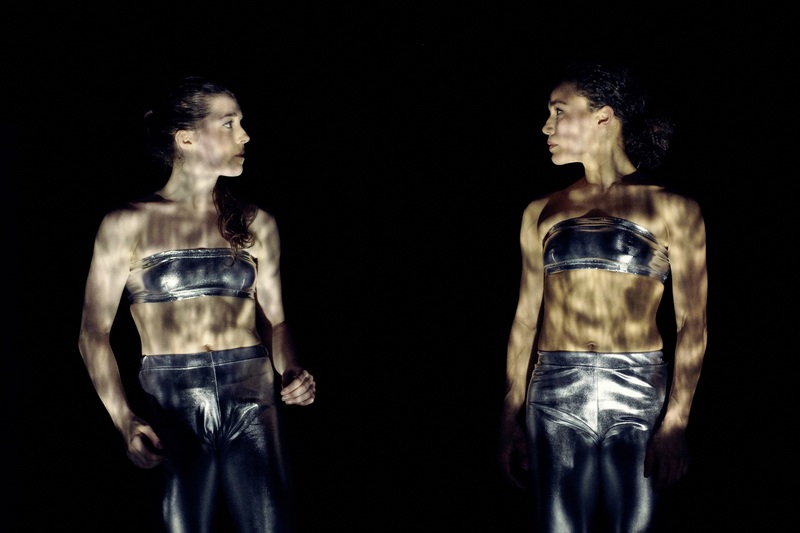 Their pieces are created at the boundary between contemporary circus, dance and performance. Where provocation meets trust, coherence meets rejection, and height meets falling, in their choreographies they dismantle what lies between two bodies, between two people. Behren and Patschovsky trained at the Superior School of Circus Arts (ESAC) in Brussels. In 2008, they joined the artistic direction team of the Freiburg-based company HeadFeedHands and expanded the ensemble to include Cologne. 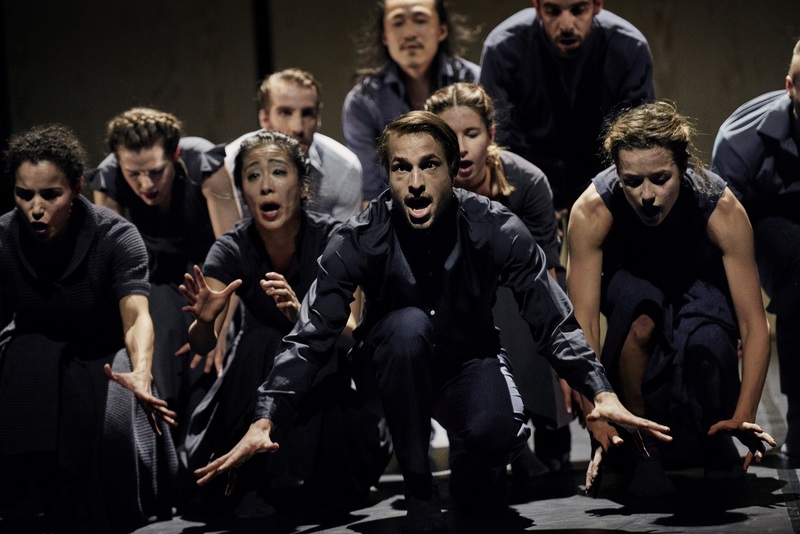 They jointly developed a stage language that became a novel form of movement art inspired by France’s Contemporary Circus, breaking away from classical circus. Three major touring productions were created for HeadFeedHands, including [How To Be] Almost There (2011). They won several international and audience awards with the duet that developed from it, including the first Jury and Audience Prize in the No Ballet choreography competition in Ludwigshafen (2011) as well the first Jury and Audience Prize at the SoloDuo festival in Budapest (2012). The duo debuted under the name Overhead Project with the choreography Eh La in 2012. 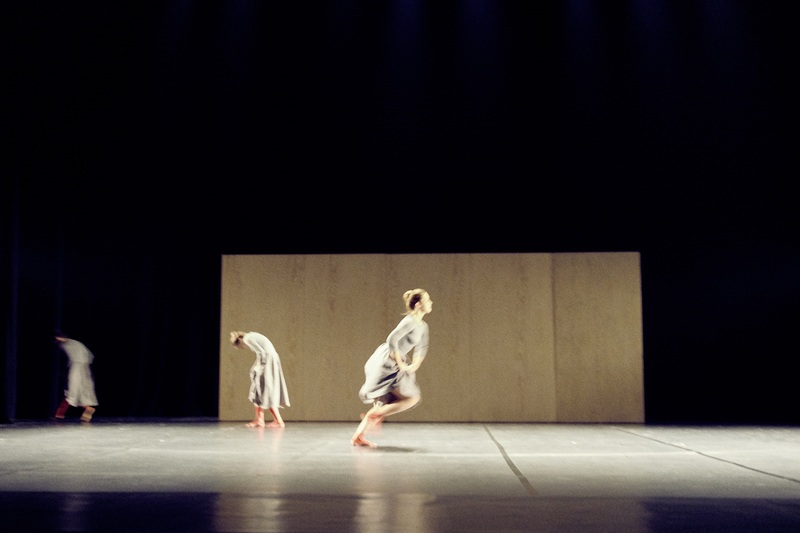 In 2014, they created The boy who cries wolf with the Israeli choreographer Reut Shemesh and it was nominated for the Cologne Dance Prize (2014). Alongside their choreographic work, Behren and Patschovsky continued to dance regularly for other companies, e.g. for Stephanie Thiersch/MOUVOIR and DOSSIER 3-D-Poetry/Marion Dieterle. The first full-evening work, Carnival of the Body, in which Behren and Patschovsky themselves dance, appeared in 2015. The piece examines the show sport of wrestling as a warlike staging of the body. 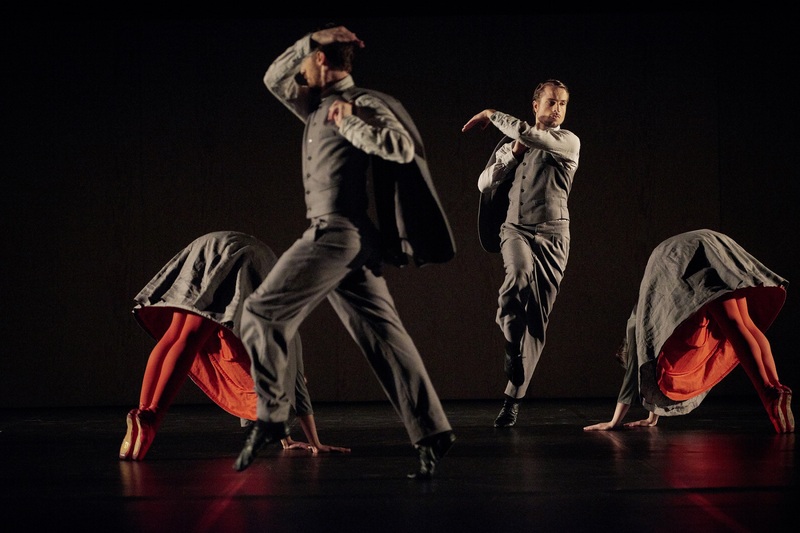 Also in 2015, they created PENUMBRA, their first creation for a larger dance company, namely the Dance Company Nanine Linning at Theater Heidelberg. 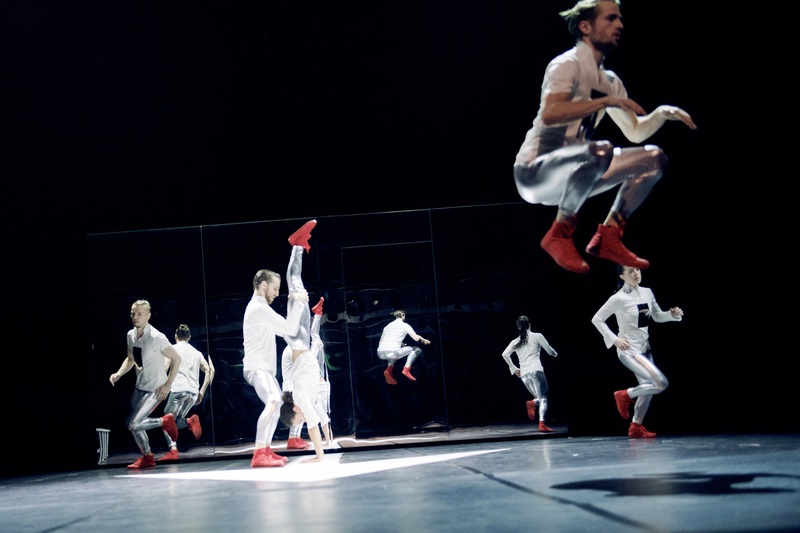 FRANCIS BACON, a choreography commissioned for the dance company of Konzert Theater Bern under the direction of Estefania Miranda, was created in the 2015/16 season, while 2017 saw the premieres of RAUSCH at Theaterhaus Jena, X [iks], a contemporary circus performance for two trapeze acrobats and a drummer, at the Paletti circus in Mannheim, and SURROUND at LOFFT in Leipzig. In 2015, Overhead Project received the Promotion Prize of the State of North Rhine-Westphalia for their outstanding artistic work to date. Two years later, they were honoured with the Dance and Theatre Prizes of the City of Stuttgart and the State of Baden-Württemberg. Behren and Patschovsky are co-founders of the ehrenfeldstudios in Cologne, an interdisciplinary production centre for dance, performance, contemporary circus and media art. In the 2016 edition of the Dance Platform Germany catalogue, they were presented as one of 55 ensembles that had set innovative trends in the independent dance scene in Germany. Lali Ayguadé was born in Barcelona in 1980. She studied at the Conservatori del Liceu as well as at the Institut del Teatre in Barcelona before transferring to PARTS in Belgium in 1997. In her fourth year of study, she created her first solo Silence under the guidance of the choreographer Wim Vandekeybus. After completing her course, she danced first for the Publik Eye Company in Denmark under the direction of Carmen Mehnert. In 2003, she worked with the Akram Khan Company and danced in the productions Kaash, Ma, Bahok (a co-operation with the National Ballet China), Vertical Road and Confluence. She has also worked with the choreographers Roberto Olivan, Hofesh Shechter, Marcos Morau from the Spanish company La Veronal, and the circus group Baró d’Evel. In 2005, Ayguadé created the piece Twice Read with Anton Lachky, one of the founders of Les Slovaks. Other works emerged from the partnership with the acrobat and clown Joan Ramon Graell, and with Young Jin Kim, Joan Català and Julian Sicard. Her first full-evening piece Kokoro (Japanese for heart, soul) appeared in 2015 followed by iU an Mi in 2017. 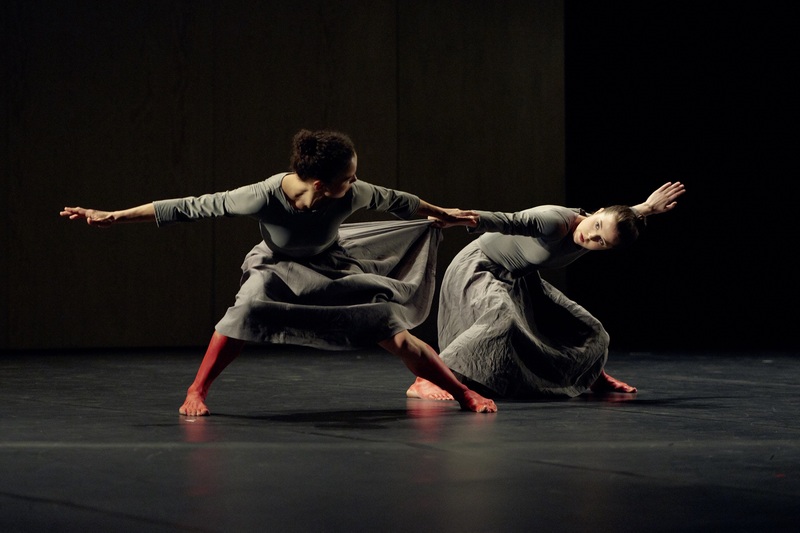 In 2010, Ayguadé was nominated in the ‘Outstanding Performance’ modern dance category by Great Britain’s National Dance Awards Critic’s Circle, and in the ‘Best Choreography’ category in 2014. The jury of recomana.cat in Barcelona nominated her as ‘Best Dancer’. She played the lead role in Juanjo Gimenez’s short film Timecode, which won the Golden Palm at the Cannes Film Festival, the Goya Award and the Gaudí Award, and was nominated for the 2017 Academy Awards. Ayguadé shares the results of her cultural research in workshops around the world. The interview was conducted as part of the TANZFONDS ERBE project “Das Triadische Ballett” carried out by the Academy of the Arts in 2014 in co-operation with the Bavarian State Ballet II ensemble. 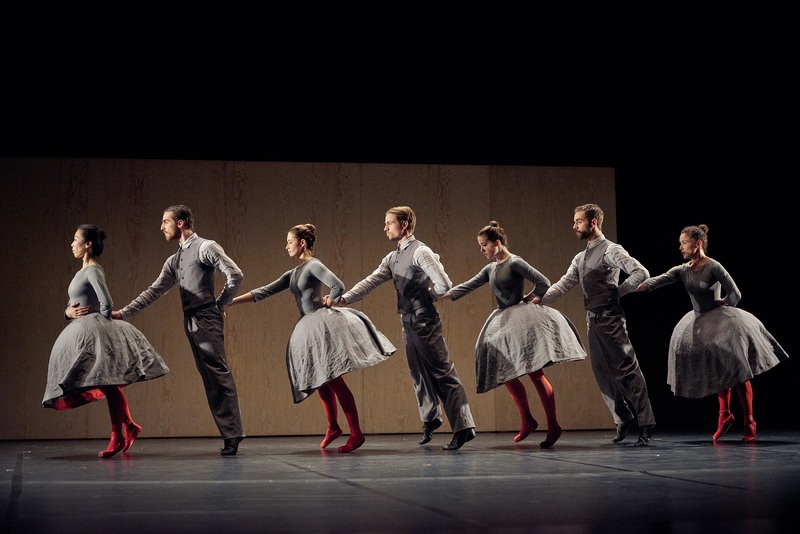 The interview was conducted as part of the TANZFONDS ERBE production Zwei Giraffen tanzen Tango – Bremer Schritte (Two Giraffes Dance Tango – Bremer Steps) by Helge Letonja at Bremer Theater. 27 May 2018 (10.30 am) – film showing: Gerhard Bohner und Tanztheatergeschichte. Portrait eines deutschen Choreographen / Gerhard Bohner and Dance Theatre History. Portrait of a German Choreographer (1989/90) by Cosima Santoro.